The GEANCO Foundation will hold its annual Hollywood fundraiser on Saturday, October 6, at Spectra in the Pacific Design Center to rally support for vulnerable women and children in Nigeria. 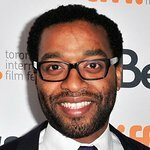 Oscar-nominee Chiwetel Ejiofor (12 Years a Slave, Doctor Strange, The Martian) and Golden Globe-nominee David Oyelowo (Gringo, Selma, Queen of Katwe) will engage in a keynote conversation about philanthropy and Africa. Oscar-nominated actor and GEANCO’s 2016 Global Promise honoree Benedict Cumberbatch (Avengers: Infinity War, Doctor Strange, Sherlock) is the Honorary Gala Chair. 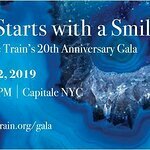 Expected Special Guests include Sam Adegoke (The CW’s Dynasty), Dayo Okeniyi (Hunger Games, Shades of Blue), Grammy-nominated musician Jidenna, Fox Sports television personality Marcellus Wiley, Mark Johnson (Oscar- and Emmy‑winning Producer of Breaking Bad, Better Call Saul and Rain Man) and Billy Ray (Oscar-nominated writer of Captain Phillips and The Hunger Games). Sponsors include Creative Artists Agency, Leaf Group, HBO, Latham & Watkins LLP, Pender Capital and Neuro Drink. Event proceeds will underwrite GEANCO’s medical missions, which provide free joint replacements and minimally-invasive surgeries to poor Nigerians. 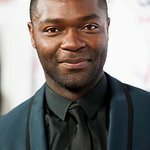 Donations will also support the foundation’s David Oyelowo Leadership Scholarship for Girls, which provides tuition, medical care and professional psychological support to young female victims of terrorism and gender inequality. VIP and General Admission tickets are available for purchase on the event website. Guests will enjoy lively Nigerian music, a premium open bar and delicious African appetizers while mingling with leading celebrities and entertainment industry heavyweights. The Program kicks off at 7:30 p.m. with a musical performance and the celebrity keynote discussion. For more information on The GEANCO Foundation, visit Geanco.org.